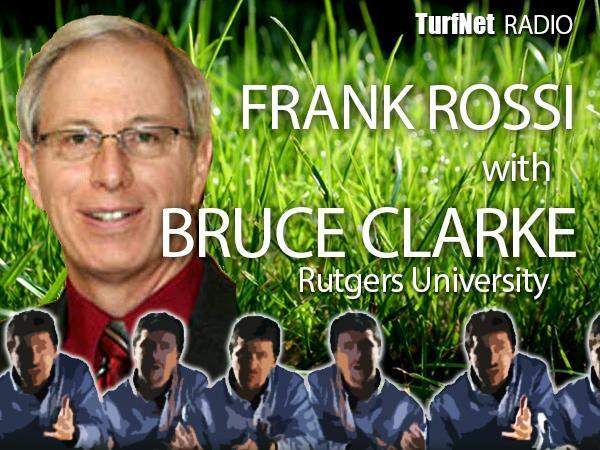 In this episode of Frankly Speaking, I had a great, far-ranging chat with plant pathologist extraordinaire Dr. Bruce Clarke of Rutgers University. We kicked off with the history, creation and evolution of BMPs for managing patch diseases and anthracnose in turf and segued into programmatic approaches to control, intertwining of micronutrients and cultural practices, solid vs hollow tine aerification, self-inflicted issues, topdressing, nitrogen... and the real possibility -- with strict adherence to established BMPs -- of moving toward a scouting-based curative program for anthracnose management. Bruce also filled us in on the upcoming 13th International Turfgrass Research Conference to be held July 16-21 in New Brunswick, NJ.